Sound the alarm! 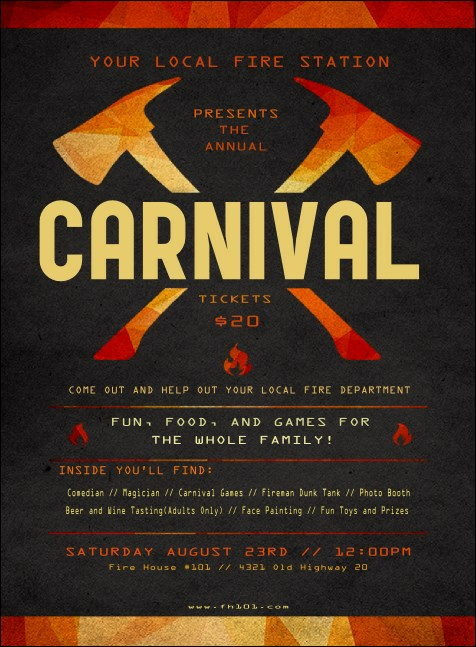 When you need to get word out for your community event, send the Fire Department Invitation. This blazing invitation template features sixteen lines for details, all on a charcoal background with firey orange flames. Heat up your RSVPs with the right invitation! Fire up your guest list with the right invitation from TicketPrinting.com.